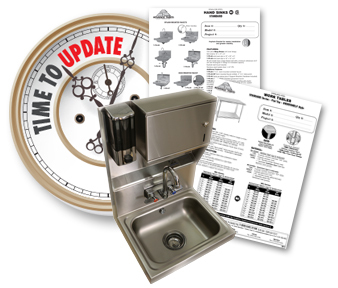 Sign up now and receive monthly alerts for Advance Tabco Photos and Specification Sheets! When you sign up, you will receive a monthly alert if there are any changes to our photos or spec sheets. This will help ensure your Website and Printed Material show the most current photos and information.